Abracadabra! 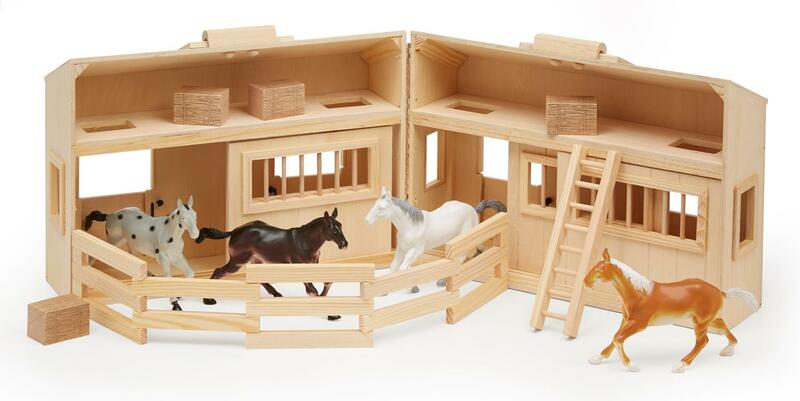 This fantastic wooden set includes four easy-to-master tricks for beginners. This fantastic wooden set includes four easy-to-master tricks for beginners. Young magicians will improve their confidence and fine motor skills as they amaze family and friends with exciting tricks and illusions! 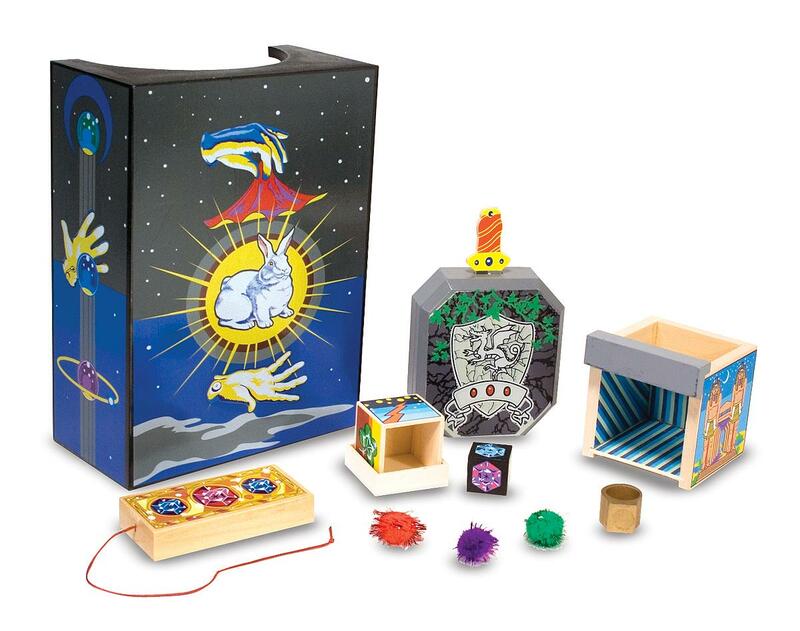 “Magic Jewel Box,” “Colour Changing String,” “Chamber of Illusion” and “Sword in the Stone” are included. 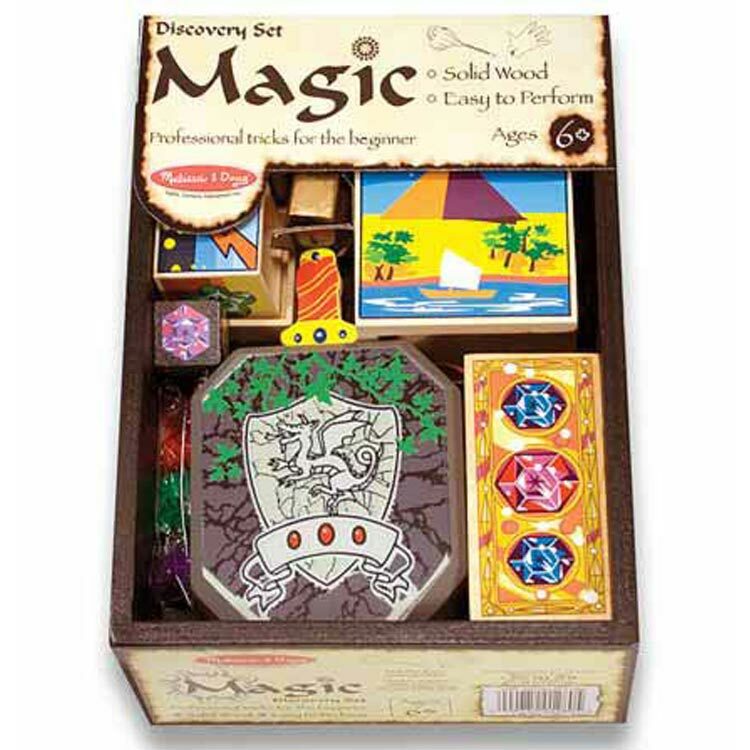 One of the few magic sets appropriate for children as young as six.